Here are my top tips to achieve bright white, beautiful buttercream. A sphere cake made to look like Cinderella's carriage. A lovely birthday cake for a princess themed party. There are, of course, plenty of bakers bemoaning clients asking for high-end cakes at supermarket prices, but I don't blame customers looking for a bargain. You can't blame someone who is not in your industry for not understanding the effort required to achieve something. Or the skills you have taken the time, effort and cost to develop. Or the cost of tools and equipment. In any industry, it is any given professionals role to help the customer understand the value of what they are buying. Now, I am not a professional baker. I don't charge people for cakes. I mostly make them for myself to eat. That makes me a Hobby Baker. But I do own my own non-baking business and the issue of what to charge for my services and expertise is not alien to me. So I thought I'd take some time to talk about just that. Not cake, not creativity, not worrying your work isn't good enough, not fretting that because you work from home that means you should be cheap. But business. Cold, hard business. Running a business is hard work. It requires your heart and soul but it NEEDS your head to survive. For making a cake this is your ingredients plus resources (like electricity/gas) and materials as well as a % of the cost of your business existence, such as rent and marketing. Yes, all of it. For a cake that needs a particular mold or modeling tool, you wouldn't charge for the whole tool as you will use it again or already have it - so charge a small % of what that tool cost to buy. You may need to replace it at some point so you have to cover that cost. Think of it as your equipment 'wear and tear'. Your time is also a cost. It is not your profit. If you spend 5 hours making a cake and decorating it (and you will likely spend much more than that) then that is time you aren't out with your friends or at another job earning a living. It costs you something to do it. So work out an hourly rate you are happy with (NOT MINIMUM WAGE) and add that time in. Once you have that total, that is your cost rate. Meaning if you charged that amount of money, you would break even and would have worked for no income. You also have no cash to invest in your business's future, like setting up a website, doing marketing, buying new tools and equipment or improving your skills with classes or books and so on. You add a % on top for profit. That % is flexible and is really up to you, but I've worked alongside creative industries my whole working life and the minimum I've seen in viable businesses is 15%. The most common is between 20-40% and high end "in demand" people can charge 100% and higher. If this is all sounding too expensive then let's look at an example. If you made a cake that took you 5 hours, and you are going to pay yourself £10 per hour and the materials, ingredients and equipment comes to £50 (just to keep it simple) then your cost price is £100. And for that, you have made no money yet. So add (minimum) 15%. That cake is charged out at £115. So you have worked for 5 hours and you've made £15. £3 per hour, profit. Does that sound too much now? Does £120 or £140 still sound so unreasonable? The cost of a cake isn't determined by how you or the client feel, it's cold hard facts. The price of the ingredients isn't set by you and whether or not you think that flour is "just" ground up wheat so it shouldn't cost "so much". What you also have to consider with your final price is your marketplace. If you are in a big bustling wealthy city like central London your rates (gas/electricity/rent etc) will be higher so you need to charge more to cover them, even as a home baker. And you can charge more because the average cost of your competition will be higher. If you are in an area with very few competitors then potential customers don't have as many companies to choose from and that keeps prices from being driven down. If you are in an area with a lower than average income and lots of competitors then you may feel like you want to lower your prices to compete. That is certainly an option, but remember that cost is not the only thing that separates one company from another. I know a great baker/decorator who does very elegant high-end cakes and beautiful cupcakes. She gets a lot of inquiries for novelty cakes or sculpted cakes but they just aren't her thing and she has no interest in making them. Someone else will get that business and they do not need to compete with my friend on price to do it. It's a unique selling point - find yours - what do you do better than your competition? or different from your competition? In order to answer those questions you have to know a lot about your competition - so research them. Google companies or sole traders in your area making cakes. Look at their websites and social media accounts to see what work they do. Some people publish prices for set designs and sizes so you can gather that information as well. Don't think that this is underhanded. All (smart) businesses research their marketplace and competition to see if they have a viable business model. It would be underhanded is calling up competing bakers and stealing their IP and waste their time requesting quotes for things. I've even heard of people booking consultations just to take up a slot that a real customer now can't. That's unethical. If you wouldn't want someone to do it to you, don't do it to them, this is someone else's livelihood after all. If you can't make your business work without being devious, you don't have a functional business at all. Think about your work load as well. If your prices dictate that you need to make 3 cakes a week to make a living is that achievable? If your prices dictate you need to make 25 cakes a week to make a living is that achievable? Can you generate that many orders in your area? Do you want to consistently be working 60 hour weeks? Does a 60 hour week look like a holiday to you from where you are now? What 'profit per cake' will mean that you can keep doing this and still love it? And not burn out. I don't want you to burn out. I know that's a lot of information, but I see so many creative people across industries undersell themselves. Work themselves into creative oblivion and shut up shop, not because they didn't have enough work but because they weren't generating a profit. This is especially true in the home craft market. If you undervalue yourself, your customers will too. The story goes that the great Pablo Picasso was sketching in the park when a woman approached him. “It’s you — Picasso, the great artist! Oh, you must sketch my portrait! I insist.” (Cheeky isn't she) So Picasso agreed to sketch her. After studying her for a moment, he used a single pencil stroke to create her portrait. He handed the women his work of art. This story may not be true and could be applied to every artist in history but replace 'It only took you a second' in the story with 'it's just cake'. How many of you have heard that when sending a quote? True enough it's just eggs, flour, sugar and butter but it isn't 'just cake' it's so much more than the sum of its parts. And if it were 'just' anything then the person trying to buy it from you could 'just' do it themselves. So they aren't 'just' buying a cake from you, they are buying your knowledge, creativity and time to do something they can't. Or won't. Don't ever allow the customer or yourself to use terms that diminish the product you are providing. It isn't a simple chocolate cake with icing. It is a double chocolate fudge cake, with milk chocolate ganache on a decorated cake board with piped border and buttercream rosettes on top. Do you see the difference? By highlighting the details, the component parts of the cake and the design you are alerting your customer to the level of effort needed. When a client says "just a simple vanilla cake with a few decorations, like flowers or something oh and a number on top, just something easy, you know" don't let that description stand. Read back to them what you will be doing. Don't be patronising or mean about it. As I said at the beginning, you can't expect them to be an expert in your industry. But you can educate them by re-wording their description back to them. It also helps you to be clear about design choices. Inspire them with your vision and the value of what you are making and they will see the true cost of what they are buying. I hope you'll feel more comfortable with charging a price that honestly reflects your skill and business needs. This obviously isn't the final word on the subject. There are always exceptions and special circumstances but you are earning a living so don't be too soft hearted. Here are a few more blog posts on this subject which I think should help galvanise you to genuinely charge what you are worth and what you need to, to really run a business. 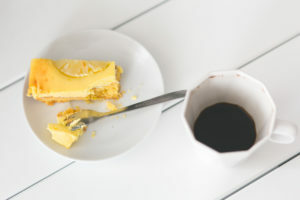 This is a great blog for anyone who wants to make cake a consistent source of income. Michelle, a chef and business owner, blogs about everything from Marketing and Branding to keeping your spirits up. And of course, charging for your cakes. So I compensated by lowering the temperature to 110 and filling up the Bain Marie. I hoped the water in the oven made the cooking process gentle enough not to incinerate the cake. Ok, now that's over with...I do have my backup batter, thanks to mishaps 1 and 2 from yesterday's 'muck up' list. So I baked that this morning. With the almonds in, at the correct temperature, with a fully watered Bain Marie. Isn't it a thing of beauty! Even with my terrible photography! Thank you, Teresa! A friend of mine makes her Christmas Cake in September. Then she feeds it Rum for 3 months and is, presumably, admitted to hospital for fruit-induced alcohol poisoning on Christmas Day. I don't have 3 months, I'll be lucky if I have 3 days, so this nifty tip on speeding up the cakes maturation is a winner for me. I just hope it works out ok! This is what I've been waiting for!! In case you didn't know, the traditional way to cover a fruit cake is with Marzipan and then fondant. In order to get the marzipan to stick (as there is no buttercream or ganache) you paint the cake with a jam or preserve. Usually apricot. And as there are apricots in the cake (at least I didn't forget those) this seems like a good way to go. By that logic so would cherry jam, but I prefer apricot. The last time I used marzipan I was in primary school and I don't remember enjoying it. I bought my marzipan, sacrilege I know, but I didn't have the time or mental fortitude to make my own. I initially rolled it very thin, worried I wouldn't have enough. It turns out I had plenty but one layer didn't really disguise the lumps and bumps. So I did 2 thin layers of marzipan, stuck together with more apricot jam. Then came the one part of this process I was actually familiar with, fondant. I'm not entirely sure why I took all of my photo's tilting to the right. Must have been all the brandy in the off cuts I was eating. And it isn't your imagination, the cake does also slope slightly - so not an entirely even bake. I did try cutting it a bit to balance it out but having so much fruit it in meant I was at risk of crumbling a whole chunk off. I popped it up on a cupcake stand (the blue one you can see poking out) and that made it very easy to cover. Then I did some embellishments. I couldn't help but be influenced by the biggest Disney movie of the moment, so we have a sort of ice crown with pearls and blue accents. The design is an homage to the Sphere Cakes I made and CakeyBake who designed them. The little blue leaf shaped pieces were the cut outs from my floral snowflakes. I painted them with luster dust. You can't really see in any of the photos but I also lightly brushed the top of the cake with pearl dust and a little bit of silver glitter. The sides are wrapped with white and blue ribbon, left over from my Cinderella Button Cookies. Waste not, want not. I boxed it up in a decorative silver box and delivered it to the school, hoping it would impress. I'm actually pleased with how it turned out. I like the decorations and it's kind of cute. Do you have any cake disaster stories? Cakes that started badly and ended up ok? This year, I am making my first ever Christmas Cake. And whose help am I wrangling? Only the best will do so Mary Berry of course. I am using Mary Berry's Christmas Cake recipe that is. I couldn't actually get her in my kitchen. That would be a Christmas miracle. As this cake takes a couple of days to make, I thought I would split it into 2 posts. Just to let the suspense really soak in. Brandy! I mean just to let the brandy really soak in. I've never made a Christmas Cake or any kind of dense fruit cake before. I don't like them if I'm honest. I don't think kids really like very boozy cakes either, they taste weird. I didn't like it as a kid and haven't given it a second shot. So why am I making one? Well, a local school is looking for donations for their Raffle Hampers, one item? Christmas Cake. I don't need much of a reason to put on my pinny and whip up some sugary goodness and I can even say I'm doing it for a good cause. Just a shame they get my first ever attempt, I don't have time to make more from scratch. It's not like me to take on such a challenge, with little time to spare. Yeah right, that is exactly me. So here we go, the stages to (what I hope will be) an AMAZING Christmas Cake. I don't have time to go and get more (shops closed, who starts prep at 10 at night seriously) and I can't wait until the morning or I'm another day behind! So I'm just going to have to go with it. I pour my brandy over and leave it, covered, overnight. The next morning I add a bit more brandy. This isn't in the recipe, but I've been collecting Christmas Cake advice having never done it before. Someone told me to top it up the following morning. So top it up I did. I then go to work etc and after dinner crack on with the 'cake' part. Mary's recipe says to really cover the pan. A friend of mine this morning advised the same. Grease the pan and put 2 layers of paper on it. So that is what I've done. It's a thing of beauty, don't you think. I hope I don't actually need the paper to be that tall, the cake shouldn't rise that much. Or at all. This part should be easy, it's cake. I've got this! Except, apparently, I don't. For some unknown reason, I don't have enough butter in my house! I can't go out and get any either! I'm only down by 50g so I'm going to risk 50g of (gulp) margarine! I am dying a little on the inside. It still looks like cake and the batter actually tastes LOVELY so I'm not too worried (I'm really worried). Oh and I need to point out that at this stage in the recipe it says to leave out the nuts. Got it. No problem. Now you mix the fruit into the cake batter. So here I go. Don't forget to pour in any extra soaking 'juices' (that's Mary code for booze) as well. There weren't any. Did I not add enough booze? Should there be a little lake of Brandy at the bottom of my bowl? But it's all mixed in and I realise I'm an idiot. I know why there wasn't enough butter. I remembered, when I was shopping, that I didn't have enough fruit. I'd decided I was going to bake a 6-inch cake not a 9-inch cake like the recipe said so I was just going to make less batter and work out the fruit ratio. I did neither. I made the full amount of batter and there isn't enough fruit to go in it. Remember I've never done this before and I don't know what this mix should look like! Is the fruit supposed to be covered lightly like someone trying to make Rice Krispie cakes go further? Or is it supposed to be like Rocky Road, thickly covered? Probably the former based on my ratio mix up. Oh well. Nothing I can do about it now! Into the pan it goes. Mary's recipe says to level the top and put on a parchment circle. That's fine. But nowhere does it say how full the cake pan should be? I figure, it's a plain flour cake with no raising agent and it's packed out with dense, alcoholic fruit. It's probably not going to rise at all. So I've left a 1cm gap at the top of the pan, and I'll hope for the best. So that's exactly what I've done. Phew, so it's in the oven as of 8.30 tonight with a 4-5 hour bake time. I'll be checking it at 12.30 with fingers crossed. 2 final things. Remember the recipe said "leave out the nuts"? You add them in after you've mixed the fruit. I didn't. I was so preoccupied by my weighing and measuring mistakes that I completely forgot. D'oh. Aaaaaand, this is how much mix I have left over! It's about half, just over I'd say. So perhaps I'll add half the nuts to that and bake another one in the morning. The school might not get such a disastrous cake after all! Join me for Part 2 to see how this cake turns out. So much icing, so much choice. So which one is right for you? Last time I talked about the difference in the terms 'icing' and 'frosting'. This time, let's have a look at the different types of icing, how to make them and when to use them. This list isn't comprehensive, I'm sure any of you who have been to culinary school could name many I have missed, and please do! Add them in the comments. But this is a list of every type of icing I either have used or would like to give a go. All the icing I know about then really. This is a BIG post, so settle in with a cup of tea, we're about to get sugary. Typically used for piping decorations or covering something like Christmas cake or decorating biscuits. If you don't colour it, Royal Icing is bright white and dries solid and crunchy. That means you can pipe little flowers or other decorations and keep them in a moisture free/air tight container for a long time. If you want it to dry softer, more marshmallowy then add 1½ tsp glycerine once the other ingredients are all combined. Whisk the eggs until foamy and white but not solid. Add sieved icing sugar in gradually and fold together. Once all the sugar is combined add the lemon juice and any colour you would like. Because this is designed to set hard for decoration, if you leave it out, it'll dry on you so keep it covered! This is the icing used for all that incredible lacework piping, brush embroidery and fancy beading. Not to mention being 'decorator glue' it's a super strong cake adhesive. So you can use it to mount edible decorations on your cakes. Thin it out a little for 'flooding' biscuits but keep it thicker to pipe lettering. It's the original 3D printing! Great for pouring, especially for that dripping effect. People top fairy cakes with it and dribble it on biscuits. While this does 'crust' over it rarely goes completely hard all the way through. Simply mix together until combined and smooth, not grainy. You don't have to just use water, it can be fruit juice for flavour and mild colour. Some people use milk. You could use coffee or anything fluid (and edible). If you add food colouring, then reduce the amount of other liquid or it may be too runny. This icing is nice and shiny and great fun for kids. Oh, and it's what you 'glaze' donuts with too! This basic buttercream recipe is only one in a whole delicious family. There are other, more elaborate versions, whose texture and density are different. Using a stand mixer or hand mixer (or incredible arm muscles) beat the Butter until creamy, fluffy and paler in colour. Add in the Vanilla and Sugar (gradually) until fully combined. You will need the mixture to be creamy and soft for piping or spreading between layers of cake so add the milk in a little at a time until you have a pliable consistency. You may not need all of it, that will depend a little on the temperature / humidity wherever you are. You do not want this to be runny. If it gets too thin try chilling it in the fridge or adding more icing sugar a little at a time. This is where we cross over into "Frosting" territory. A spreadable, pipeable cake covering with a butter and sugar base. It could also have cream cheese which is delicious. For a lighter, fluffier and frankly more delicious buttercream make it with a meringue base. This is where we start getting sophisticated. There are a number of meringue-based buttercreams. If you're only familiar with meringue as the crunchy white stuff in a pavlova or gooey fluff on top of a Lemon Meringue Pie then you're thinking too far along in the meringue making process. I will do another post on the various meringue buttercreams as they are my absolute favourite, there isn't enough time to talk about them now and they deserve their own stage. American buttercream, which broadly speaking is Frosting, typically includes one special ingredient. Many 'frosting' recipes or American Buttercream recipes include 'Shortening'. For those of us not raised in the US, shortening is refined white fat. Specifically refined vegetable fat. Refined animal fat is lard. You heard me, LARD! And there are lots of reasons to use lard, but PLEASE do not put it in your buttercream. I use refined vegetable fat to grease my fondant mats and molds, loosen up my fondant and make dumplings, pie crusts and more! The most famous brand here in Blighty is Trex, but there are others. I feel genuinely unwell at the idea of mixing that in with butter and sugar to spread on a cake! It's just fat. Bleugh. The apex (for me anyway) of cake decorating. Here we really have 3 things, Fondant and Sugarpaste and then Gumpaste. The first 2 are the same stuff, and that's what we will be talking about. Gumpaste however, is basically Sugarpaste but with 'gum' added. Either naturally occurring Gums derived from trees or Tylose, an artificial gum, which comes in powder form. This makes it harden or dry out faster. This is best used for crafting things like flowers, figures or bows and covering cake boards rather than a cake itself. For me, there are 2 ways to make fondant, with Marshmallows and without. I have a separate post on making MMF or Marshmallow Fondant (gosh, I do talk about icing a lot don't I), but here is the traditional kind. First prep your gelatine. Put your water on a bain-marie on a gentle simmer in a metal or glass bowl. Add the gelatine and let it soak for about 5 minutes. Don't hard boil it or the gelatine will be unusable. Mix in the Glucose/Corn Syrup and Glycerine gently. Then add in the Trex, gently stirring until it is melted. If you want to colour or flavour your fondant, do that now. It's much less work than kneading it in later. Put your sieved icing sugar into a big bowl and make a well in the middle. Add the gelatin mixture and mix together with a non-stick utensil. Either a heatproof silicone spatula or grease your wooden spoon with a little Trex. Mix until it comes together. It won't be fully integrated and smooth, just yet. This part is a little like the first stage of making bread. You can do this part in a stand mixer with a dough hook or paddle but don't overwork it. You will also still have to finish it off by hand. I've never had a totally smooth fondant straight out of the mixing bowl. Once it is holding together tip it out on a non-stick surface. Whatever you have, a wooden cutting board, decorator mats or plastic/stone worktop - grease it with Trex. You won't regret doing it. Knead until smooth and flexible. Wrap in cling film and/or sandwich bags - it can't hurt to pop it in an airtight container too. Don't refrigerate this, keep it in a cupboard. Making it cold means it'll get damp when you bring it back up to room temperature, and that will make it sticky. There is SO much to say about this. Firstly, this is a complete Fondant recipe, from scratch. You can buy Fondant Sugar, which is the same consistency as Icing Sugar or Confectioners sugar and add water to it. That makes rollable Fondant, at about 1tsp of water for every 50g of sugar it's easy to make. Secondly, we are a Pork-free household in my home, and MOST commercially available gelatin is Pork based. You can get Beef gelatin, but I've found it is much more expensive. You can also get vegetable based gelatin derived from seaweed. I've heard horror stories about using it for some things and great praise for others, I've never tried it so I'd love to hear if you have and how you got on. If you are making MMF, as Marshmallows are already made with gelatine and glucose (beef gelatine Marshmallows are readily available) that takes care of that part of the recipe. I prefer MMF for taste, texture and it's MUCH easier to make. Also, I don't know why it offends me less to have Trex in a Fondant recipe than a buttercream one, but it just does. You can substitute it for butter, but don't expect your fondant to be bright white, it will be ivory. If you are colouring it anyway then this doesn't matter too much. You can find Corn Syrup in some large supermarkets, but I haven't seen large quantities of glucose anywhere but cake shops and online. If you do use Corn syrup then use less water, it's runnier so you won't need as much fluid. I use a brand called Karo, and I buy the light kind. It has less sugar, which seems a bit redundant considering all the other sugar, but that's my brain for you. It's also clear, which is very important when making white fondant. Many corn syrups or other plant based syrups, like Agave, are either slightly yellow or slightly brown. That's fine when substituting it for sugar in a cake, but it will affect the colour of your fondant. This I've seen mostly used for petit fours or glazing, but you can use chocolate for those too and that's easier to make! In my head, this sits in the realm of the patisserie and is therefore beyond my skill level. For now anyway. Mix the sugar, water and syrup in a saucepan over a medium heat, stirring constantly. It should be runny, so you can pour it over a cake but not so thin that it'll just run off and not stick at all. Also, if you are pouring over a cake you have covered in buttercream, allow the mixture to cool first. You can colour or flavour this however you want, making it great for decorating. It can set glossy or mat. It will firm up and crust as it dries, so cracks beautifully when eaten. But it won't be hard. My new best friend. Ever since I took a class in covering cakes in ganache I have been torn. I'll admit it, I've totally been seeing ganache behind buttercreams back. I am still in love with the Meringue Buttercreams, though. Ganache is really versatile, you can make it a thin glaze and pour it instead of Pouring fondant, it is gorgeous for dripping over the edges of cakes in place of Glace Icing. 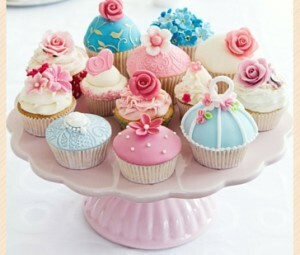 You can make it thick to fill and cover stacked cakes or whip it up to pipe on cupcakes instead of buttercream. Plus, you know, it's chocolate. So with that in mind - and the fact that this is a crazy long post already, I'll do a separate post on Ganache to do it justice. What is your favourite kind of icing? Have you used any of the above in a 'non-traditional' way? Icing vs Frosting - What Is The Difference? As a baker based in the UK I had never even heard the term "Frosting" until I discovered American recipes online. I wasn't sure if this was some new special 'thing' or if it was equivalent to something we have here. If there is a difference in the nature of the icing we use in the UK (and Europe) we highlight that with its own specific name, Royal Icing, Buttercream Icing, Glace Icing, Fondant Icing and so on. But they are all something you Ice a cake with so I investigated this mystery term 'Frosting' a little further. I have come to believe that Frosting is an Americanisation of what I would call Buttercream or some variation thereof. In as much as it has a buttercream base, but isn't what we in Europe would call traditional buttercream. I googled frosting recipes and found that they were by and large Buttercream recipes, meaning they all had butter and icing (powdered/confectioners sugar) in the ingredients, but not just those 2 defining ingredients. 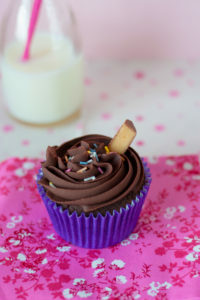 Sometimes there were variations, some with marshmallow fluff and others with cream but they all had a Buttercream base. Interestingly, in America, they have a different definition of Icing, they don't use it as a blanket term for all possible cake coverings which involve sugar in the making. When you say 'Icing' in the States they very specifically think of Glace Icing, which is simply icing sugar and a fluid like water or milk, maybe a fruit juice of some kind. The kind of thing you might pour onto little fairy cakes for a kids birthday party. This may not be a revelation to most, but it is an important distinction because they serve different purposes and you can buy different types of icing sugar to make them. I, for example, have made my own marshmallow fondant before and found, unsurprisingly, that if I used Fondant Icing Sugar the result was smoother than regular icing sugar, though I could discern no difference between the powdered sugar's themselves. You also need less of the Fondant Sugar for the process. I'm sure you are asking, what on earth are you on about? But it does speak to my headline question. Why is something Frosting rather than Buttercream? Well, generally speaking, they are similar. However, I think the answer is one special ingredient. Frosting, or American Buttercream, uses Shortening. Usually with butter, but also in total replacement of butter. This makes the icing whiter and can make it more stable. However, shortening is refined fat, which is why it is more stable, it melts at a higher temperature than butter. Specifically, refined vegetable fat. In the UK we call it Trex. It basically vegetarian-lard. Here is a well reasoned and very thorough recipe for Frosting but I can't say I am tempted to give it a go. Maybe that is just a cultural aversion, given what we usually use Trex for in the UK. But I have also heard lots of British bakers say they don't like the mouth-feel and there is a greasy residue, which I would expect. In my next post, I'll break down the basic recipes & methods for the major icing types. Do you have a favourite type of icing to work with? Have you tried buttercream with shortening? I'd love to know! Ah welcome back kindly blog readers. My last post was about a class I took to improve my cake decorating skills. This is the exciting conclusion. I may be overselling this a bit. I'm always interested in making more professional looking cakes. I'm a hobby baker, I don't sell cakes, I don't think I could take the pressure. None the less I want my cakes to look like I could. I took the class to focus on getting that perfect finish on the coating layer whether that be ganache or buttercream. I have long known the secret to covering a cake in fondant smoothly is a perfect coating on the cake. That was the second thing I wanted to achieve. A perfect fondant layer. I usually find myself disappointed with my fondant covered cakes because they just aren't perfect. I end up with puckers or little tears, wrinkled fondant which is called elephant skin (nice). I had turned to making my own fondant which helped a bit but this class really gave me confidence, so I shall tackle my next fondant project with gusto! making and applying wafer paper flowers. Phew, that's a lot - probably why it took all day. I did say last time that I wasn't going to give away any of the actual guidance from the class, that's only fair. I paid to learn and Kirsty earns a living from teaching it, so stealing her Intellectual Property would be unkind. BUT one tip I will pass on is that patience does seem to be the trick with ganache. We all spent a considerable portion of the class covering and smoothing our cakes. That is fine in a class, and most of us there are the perfectionist type, so we took the time to get it right. I just hope I can get faster because I won't always have all the time I want to cover a cake. *Update* I have since covered a couple more cakes in ganache and I'm getting MUCH quicker - so practice makes perfect. It has to be said, much to my husband's delight (he is not Team Buttercream), I may never buttercream a layer cake again - fill it yes, cover it no. I'm a ganache girl now. Oh and I enjoyed the experience of taking a class so much I've booked myself on another one. If that's not an endorsement then I don't know what is. I'd love to hear about your class experiences and recommendations!! On Saturday 13th June I live tweeted the first ever professional cake decorating class I've ever taken. It was fun, a little tiring but very insightful & not just from a cakey perspective. The mix of students in the class I took was interesting, there were seven of us all together & we broke down like this. 1. 2 professional bakers (made cakes for money) one full time, one not. 6. Me, hobby baker & blogger. Oh & all women. I don't say that for any reason other than it was true & partly because I expected it to be the case. Make of that what you will. I don't intend to give away any secrets from the class, but if you want to know more you can always contact Kirsty on her website, or hey, why not take the class yourself. I would definitely recommend that by the way. Kirsty herself is fun & energetic while keeping 7 wayward cake ladies on track when we were chatting. Her teaching style is effective & she explains things clearly, whilst also demonstrating them. I watch a lot of teaching / cake demo videos on youtube and I've bought a fair number of Craftsy classes but for me there was definitely something brilliant about a live class situation. It isn't just being able to ask questions (although that is handy) it's being able to watch what your instructor is doing from a couple of angles, there were a few of us bobbing around behind her and next to her to watch how she did something. If I had one criticism, and I feel like I've started writing a review here so I should present a balance, it's that if I got stuck and asked for help close up Kirsty would oblige. She would explain and demonstrate again what to do (she is an incredibly patient woman). That doesn't sound like much of a criticism I know, in fact, most of you are probably saying 'what on earth would you expect her to do?' it's a fair question. What I mean is she would complete the step for me, up close on my cake so I could see. I learn well by watching, I learn better by doing and in those instances where I needed more help, I would have liked to have completed the step myself, with her guidance. That way I definitely know I can do it. It's not a big deal and I'll practice these skills again on my own anyway. I was totally blessed by my cohorts on Saturday, the Pro's had more tips and advice to add to Kirsty's extensive knowledge, the ladies who'd taken other cake classes had info they'd picked up and one other, my 'hobbyist on steroids' well I could have become best friends with her brain. She pitched in regularly with gadgets she'd tried or techniques discussed by other instructors and even the latest change in EU law concerning the use of IPA when creating luster dust "paint". One of the highlights of my day was definitely lunch time. That sounds bizarre as I have lunch every day, but it was a great opportunity to just sit and talk with everyone, Kirsty included. We talked about cake. I am not often surrounded by people who want to discuss the finer points of baking, the laughter and tears. That feeling when a cake sinks or you pipe a perfect rose. We all have other things in our lives, even those who baked for a living so cakery isn't the be all and end all but it's something we all loved. As with any conversation about a 'love' it quickly turned to horror stories. Imagine a sunny wedding day, a bride preparing for her big day, excited about all the little details. And her cake. She has asked a trusted baker to make the cake she will serve her guests. The cake that will stand proud in the reception venue, the cake that will have photo's taken of it as though it were a celebrity. The baker, who doesn't usually do wedding cakes, has taken care and patience over making this cake perfect. She is also about to leave for a holiday abroad, on the same day as the wedding. With a car packed for the airport, the cake is carefully loaded. They leave home, stomach full of nerves, boot full of fondant and sponge. They turn the first corner at the end of their road and there is a sickening sound. A box sliding, tipping, falling. The baker stops the car and her worst fears are confirmed. The cake has fallen. We all commiserated, hands over our mouths, lumps in our throats. It's a tale to chill your bones and your icing. Check back in with me for my next post and more information on the class itself.